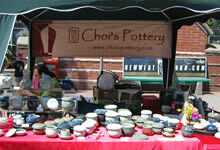 Choi's Pottery is located in Pitt Meadows, B.C. Special arrangements to purchase items can be made via telephone or e-mail. See a schedule of Choi's Pottery's appearances. 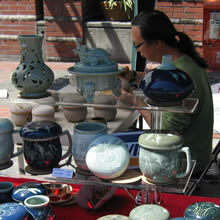 Steve Choi offers private pottery lessons, as well as teaches at Ridge Meadows Parks & Leisure Services.